This 20-minute experimental montage focuses on the issues of home and the destruction of that idea after the 2005 floods in Bombay. Bombay native and filmmaker Natasha Mendonca did an impressive job of constructing this montage to affect all five senses, particularly hearing. Our short film class was lucky enough to have the filmmaker there to screen the film with us, explain her process, and answer our questions. I was continually struck by how similar her process was to the one I use for documentary photography: she goes out to shoot with certain shots in mind, captures everything she can all at once, and then picks the best sequences and slowly constructs the order the images should go in and the pace of the film. 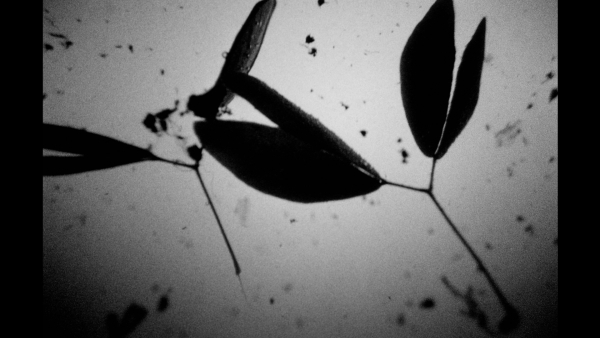 Mendonca uses a traditional, three-act structure for her montage, with Act 1 setting the scene of a community in decay, Act 2 a black and white departure consisting of personal memory, and Act 3 returning to an exterior view of the community and the people. The use of natural color versus black and white in the different acts effectively separates the acts and creates a flow for the audience, without the use of traditional narrative. She discussed her use of Eisenstein’s dialectic montage, a montage based on the concepts that connect the images, which I thought was palpable in her work. Some of my favorite scenes, including the laser lights scene and the black and white underwater scene, employs a combination of strong visuals, rapid editing, and similarly-paced sound to create a full emotion on film. The laser light scene has quickly flashing lights, rapid cuts, and fast-paced sound to design the feeling. The underwater scene includes slow, deep sounds, slow movement in the scene affected by the water, and very little cuts for a meditative feeling. It causes a nearly physically reaction for the audience. The layers involved in each scene mimicks the density and layers of our own memory, how we experience different aspects of a memory each time we recollect it. I particularly liked her focus on how buildings and people both bear marks of their history, visible to everyone. She also made the decay of Bombay audible as well as visual. I also thought she had a good point during her Q&A when she told us not to make work with an audience in mind, because ultimately, the filmmakers must be proud and happy with their own work, and an effective piece will appeal to someone. It was truly exciting to view her work and hear about her filmmaking philosophy. There’s an excellent interview with Natasha Mendonca here. The film won several awards from several prestigious festivals, including this year’s International Film Festival at Rotterdam. “I have tried to cover the memories of the atrocious explosions and crimes with children´s faces and the tears and smiles of women”. The attempt was of course bound to fail, as there is no cure against all the horrors of the last century in this retrospective. Godard scans the 20th Century in reverse; its major trends include armies and refugees, cannon shots and prisoners, freight trains and mountains of corpses, conquests and occupation, humiliations and torture. And when a scene starts a quest for a lost Century, the aim is not to find again the sweetness of remembrance, but an era lost because it was devastated by violence and wars. That quote from a short write-up about the film through art-action.org. As my first example of post-war cinema, though it was completed well after the post-war era, this film exhibits everything short films of the 1940s and 1950s aimed to do. It is a montage rather than a narrative, with scenes originating from news reels and some Hollywood films like The Shining. Using this found footage, Godard moves us backwards through the twentieth century. He seeks to connect people through events, and the events we seem to all share are usually wars, tragedies, and deaths. Viewing a hundred-year period this way, only through images, makes it feel like humanity keeps repeating history, as if we keep trudging through the same events with the same outcomes. The images of corpses and fallen soldiers sharply contrast with the more innocent images of children and lovers, pitting our breakable bodies against equally breakable souls. 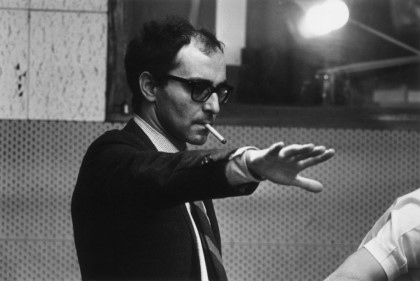 Godard’s work focuses on the state as the opposite of love, in this film and others. An analysis of this film compared to a few of his others can be found on another blog, Only the Cinema. I’ll leave you with my favorite quote from the film.